In 2012 GuideStar and Hope Consulting issued a landmark report on giving. One of the most important findings was that 71% of individual donors said they wanted information on organizations’ effectiveness. However, only 33% said they actually did any research before giving, and a minuscule 6% said they compared nonprofits. Recent evidence suggests that this hasn’t changed much. While people are aware of the fact that they should donate to the causes that have the highest impact, as individuals we’re still giving with primarily with our hearts rather than our heads. Meanwhile, a number of things are going on. Institutional donors like foundations, government, and corporations are still asking for this information; so nonprofits seeking funding are having to provide some account of what they have accomplished. Unfortunately, many are still not really reporting on outcomes, true performance-based measures of changes they have brought about in the situations they exist to address. Many are repackaging the same old activity accounts, providing detailed accounts of numbers served, but putting a maraschino cherry on top by proclaiming these numbers to be their outcomes. A second reason is that the people asking for evidence of performance –think here of the state workers who review grant applications- have themselves often not received the training needed to discern true performance measures from mere activity accounts. I have seen grant applications, ones that have been approved, where the “outcomes and performance” information provided by the grant seeker is literally nothing but an account of activity. It seems as though if the right buzzwords are used in the application, it is sometimes all that is needed. 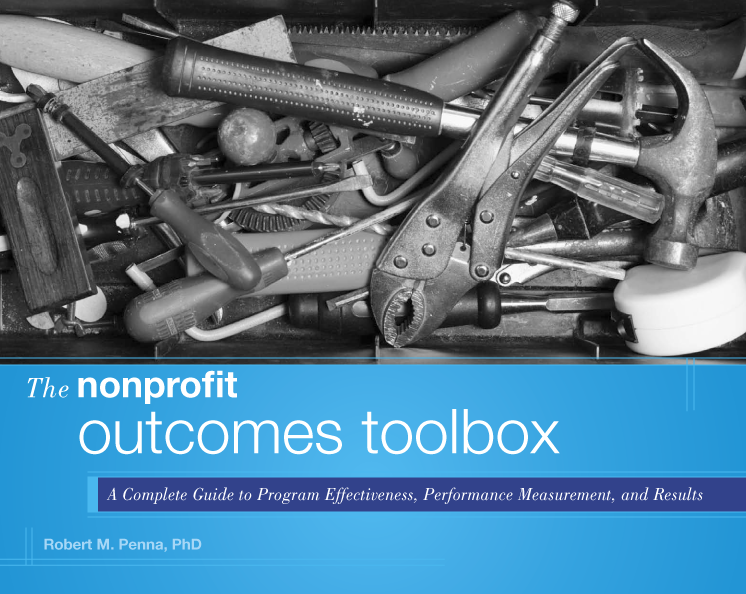 A third reason is that many nonprofits themselves either do not know what an true outcome is, how to apply it/them to their work, or what the tracking should actually look like. Some have tried, and failed, and given up. Some have not yet even tried. The underlying cause is that they very often do not have the resources needed to learn the language of outcomes and how to use it to their advantage. With a constant eye on the budget, many have decided that they simply can’t afford to train their staff, that they can’t afford the conferences or workshops where they might learn. Which, of course, brings us back to the resources the institutional donors are not providing. So, on the one hand most individual donors, while saying that outcomes, performance, and effectiveness are important, either don’t know what to look for, don’t bother looking, or still give primarily on an emotional basis. On the other hand, given that most nonprofits are not reporting on true performance, it seems as though the institutional funders are accepting whatever information is put in the “Performance Measures” box on a grant application. Given this, then, why should a nonprofit bother learning how to do effectiveness measurement correctly? The answer is that outcomes and performance measurement were never really about reporting. They were never really about making the funder(s) happy. What they were really about was doing a better job. But that message, unfortunately, got lost. When the institutional funders made performance measurement a requirement, it became to many organizations just one more hurdle, one more hoop they had to jump through to get the resources they needed to do their job. The concept that performance measurement was really for their benefit, the idea that tracking was really about understanding where and how a program might be missing its intended target, the notion of learning so we can do better next time, these all somehow got lost in the noise of the requirement. The vast majority of the people working in our sector are doing so because they want to make a difference (Lord knows they’re not doing it for the money!). Most want to be effective and bring about real change in their fields. Whether we’re working in human services, animal protection, environmental conservation, historical preservation, or the arts, our sector has perhaps the most committed people the entire economy. Moreover, unlike those in the corporate sector, the people working in the nonprofit sector measure their success not by a balance sheet, not by earnings or share value. Our measure of success is an improvement in the conditions facing those our organizations exist to serve. And that is why outcomes, and true performance measures still matter. Because they are the best tools for helping us do better…and that, in the end, is really what we are all about. I appreciate and support your efforts to promote the use of outcomes measurement. Ten years ago, I attended your workshop at the Foundation Center in New York. Subsequently, I brought my senior management staff back to the same workshop to get them on-board to using outcomes. As might be expected, because of the need to see service delivery through a new lens, the results were mixed. Getting managers to see beyond their day-to-day problem solving responsibilities remained an issue. Now retired, I remain committed to the idea that outcomes matter. The alternative is a continuation of the practices that I first encountered in my graduate social work studies at Columbia some 47 years ago. Even then the need for new measurement was felt. I remember one professor describing the way settlement houses gathered statistics: station a staff member at the door with a clicker that recorded every person as they arrived and, then again, as they departed the building. Nice, but meaningless numbers. Keep up the good work, Don Quixote! There are no windmills in this story.